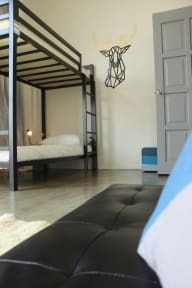 We have 2 Dormitory rooms and 7 private rooms with shared bathroom. All rooms equipped with air-conditioning and WiFi. We are located 4km from Muar - a gastronomic town. 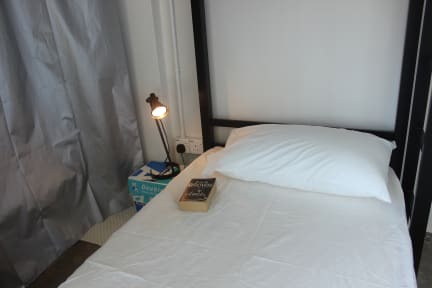 Different from other hotels in Muar, we are like a home in quiet village area (close to Muar river). A good place to relax or stop for awhile after busy travel schedule. We also have a kitchen, dining area and cozy lounge area. We want our guests feel like staying home. 1 min walk to bus stop and frequent local bus to town. Or take a bicycle to explore this lovely city and meet the super friendly local people. 1. Explore surrounding. Cycle through Malay village along Muar river to paddy field. 2. Gastronomic adventure in Muar town. 3. Hiking at Gunung Ledang Waterfall or to the summit of Gunung Ledang (booking in advance needed).